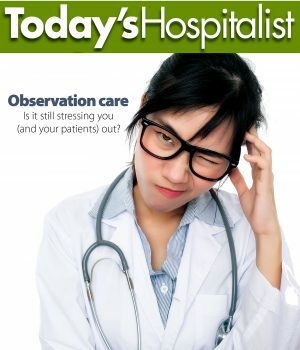 Home Cover Story Observation care: Is it still stressing you out? 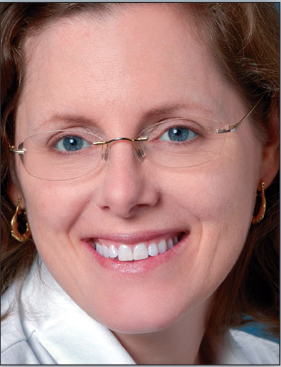 FOR YEARS, Ann Sheehy, MD, MS, has helped lead the national drive to overhaul observation care. The director of the hospital medicine division at the University of Wisconsin Hospital and Clinics in Madison, Dr. Sheehy has testified before Congress on the disadvantages of observation status for Medicare patients. Before you read the rest of the story, check out how our readers weighed in on observation care. She has also advocated for observation reforms that would allow, for instance, Medicare’s three-day rule to be waived for observation patients who need post-acute care, or even scrap observation status altogether in favor of a low-acuity inpatient DRG. She admits, however, that the momentum for reforming observation has stalled. Why? For one, Congress passed the NOTICE Act in 2015, which requires hospitals to notify all observation patients about their outpatient status with the Medicare Outpatient Observation Notice (MOON). Implementation of that notice began in March 2017. 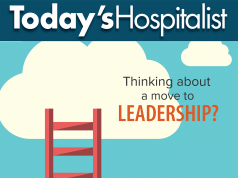 For now, at least, the reality is that hospitalists are stuck with observation care. What is also clear is that the number of observation patients in hospitals is growing and that hospitalists increasingly own that care. According to a Society of Hospital Medicine (SHM) white paper published last year, hospitalists in 2012 treated 59% of all Medicare observation patients. But hospitalist sources say they now care for as many as 75% of the observation patients in their hospitals. How observation care is delivered from hospital to hospital is all over the map. Some hospitals have dedicated units with plenty of protocols, but many don’t. Observation care in some facilities is under hospitalist management, but that’s far from universal. Some hospitals throw dedicated everything at observation care: physicians, advanced practice providers (APPs), case managers, social workers. But in others, hospitalists have to dig through their electronic health record to even figure out which patients on their wards are in observation. And hospitalists report wide variations in the number of observation patients they treat. At Banner Medical Group, for instance, all of the large facilities have had dedicated observation units for years, as well as tightly-focused processes in place to provide that care. That’s because the percentage of observation patients among hospitalists’ total census system-wide has in the past topped a whopping 50%, says Dr. Jafri, who oversees the hospitalist programs in 11 Banner hospitals. That percentage is now running in the mid-40% range. Meanwhile, Kettering Medical Center in Kettering, Ohio, has a closed observation unit under a hospitalist medical director. The director, Sylvia Polenakovik, MD, points out that observation patients make up about 33% of the patients in the medical center and between 15% and 20% of the hospitalists’ census. Most of the observation patients in the medical center are in that closed unit. Given those relatively few observation patients, it’s not surprising that, according to Dr. Austin, his hospital isn’t really pushing hard to speed up observation care. The hospital’s small observation unit, which is run by the ED, does a good job moving low-acuity observation patients in and out. But more observation patients remain scattered throughout the hospital wards under hospitalists’ care. Hospitalists now receive texts alerting them when an observation patient under their care is approaching the 24hour mark. But “it varies from doctor to doctor,” he says, whether they check on their observation patients first thing in the morning to try to process discharges sooner. with dedicated APPs as well as two doctors who alternate blocks of days. At Banner, observation units not only have dedicated hospitalists, but those physicians are paid an additional stipend to work in them. 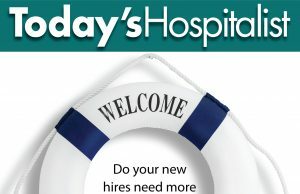 No new grads are considered. Hospitalists who staff those units limit the number of consults they call, and “we’ve asked our specialists to see our observation patients first,” he says. 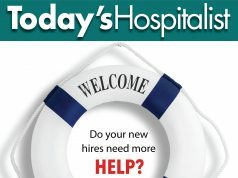 Hospitalists staffing the units also hold twice-daily multidisciplinary rounds. In the two-hospital Heritage Valley Health System in western Pennsylvania, Michael Cratty, MD, PhD, chief medical officer and hospitalist director, notes that his group has worked very hard to do what it can to speed up observation care. That includes asking consultants to see observation patients early in the day and doing testing early to discharge observation patients sooner. As a result, group members made real progress reducing observation length of stay. One area that at least some hospitalists see some progress in observation care relates to MOON notification. Kettering’s Dr. Polenakovik says patients are now asked to sign the MOON “in the ED or on the unit within 24 hours by the clerical staff registering them.” She believes that process has taken a lot of the burden off doctors, who no longer have to wade into coverage discussions with patients. At Highland Hospital in Rochester, N.Y., hospitalist Keely Dwyer-Matzky, MD, says that nurses in utilization management there have taken charge of MOON discussions, and “they do an excellent job.” She directs the new 26-bed observation unit that opened a year ago. While observation patients with complicated social needs are treated in that unit, observation patients with exclusively social needs are treated on the floors by the hospitalists and geriatricians. Dr. Dwyer-Matzky also notes that patients and families in general are now more educated than they used to be about observation. But for hospitalists, observation status is “still a stressor.” Patients being more aware means they want to discuss their diagnoses and status with their doctors, and doctors now want more education to be able to field patient questions. But Banner’s Dr. Jafri doesn’t believe the advent of MOON has stopped doctors from being caught in the middle. And doctors providing observation care have this ongoing and growing frustration: seemingly random changes in status determinations and denials. 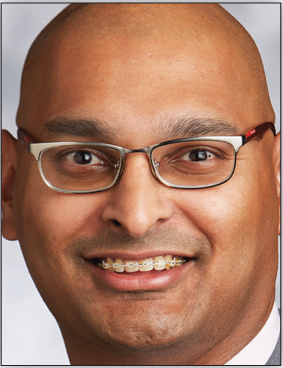 Dr. Jafri says that observation acuity is clearly on the rise, based on insurers’ more frequent denials of admissions and their insistence that patients be reclassified instead as being in observation. He also says that’s recently become a much bigger problem with private insurers and Medicare Advantage plans. It’s led to some ridiculous determinations, such as patients with diabetic ketoacidosis being discharged within 48 hours from the ICU—as observation patients. To help determine status, most large hospitals in the Banner system now each have two full-time medical directors of clinical coordination (MDCCs), MDs who work full time to manage utilization. While that function used to be out-sourced, Dr. Jafri says that Banner brought it in-house and streamlined the process. Negotiating denials with private insurers is also now much more of a focus even in smaller systems. Western Pennsylvania’s Heritage Valley is one example. How would you change observation? • Embed utilization staff in the ED. Hospitalist Sylvia Polenakovik, MD, who heads up the observation unit at Kettering Medical Center in Ohio, wants some local changes. Currently, says Dr. Polenakovik, her hospital’s utilization review staff is off-site, remotely monitoring patient status. 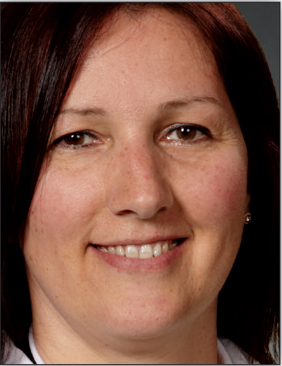 Ann Sheehy, MD, MS, director of the hospital medicine division at the University of Wisconsin Hospital and Clinics in Madison, points out that bills calling for just that change were re-introduced in both the House and the Senate last March. Both have bipartisan co-sponsorship and support, and both bills are still being actively considered. • Create low-acuity DRGs. Martin Austin, MD, medical director of the hospitalist program at Gwinnett Medical Center outside Atlanta, speaks for many hospitalists when he says that he wants to see observation “go away” and be replaced with a low-acuity inpatient DRG. He sees the solution in health care’s evolution toward taking risk. “If we were responsible for the total cost of care, it wouldn’t come down to these arbitrary categories,” he says. Clinicians taking risk would stop worrying about insurance denials and instead decide what individual patients need. Now, he points out, Medicare patients who have a pelvic fracture and no secondary insurance are being held in observation without any post-acute coverage. But if hospitals and doctors were taking risk for that entire episode of care, they might decide instead to send him or her directly to rehab. NATIONALLY, the number of observation encounters is on the rise, while the number of admissions is declining. 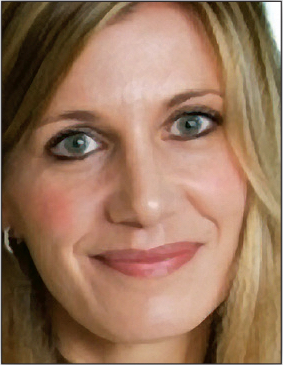 A number of publications have charted those trends, including a recent study funded by the Agency for Healthcare Research and Quality and led by Teryl Nuckols, MD, MSHS, a researcher at the RAND Corporation and the director of the general medicine division at Los Angeles’ Cedars-Sinai Medical Center. Published in the June 2017 issue of the Journal of Hospital Medicine (JHM), the research looked at what the authors called “the shifting landscape” of inpatient admissions and observation and emergency department services in four states for 10 common medical conditions. Researchers compared 2009 to 2013 data for discharges billed to Medicare and Medicaid, as well as for those billed to private insurance and for patients who were uninsured. They concluded that inpatient admissions had fallen and observation stays were rising across all payers. Further, a growing percentage of admissions were taking place after observation care, while direct admissions had declined. The authors also pointed out that, even while observation status makes up a growing proportion of hospital care, little is known about the quality of that care, including outcomes. “Systems for monitoring quality of care are less developed for observation care,” they wrote. And while the Centers for Medicare and Medicaid Services publicly reports quality data on both inpatient and ED care, the authors noted that they weren’t aware of any quality measures that apply to observation care. Many of the same researchers also authored a study published online by JHM in November 2017, which found that declining readmission rates coincided with an increased rate of observation and ED visits among previously admitted patients who returned to the hospital within 30 days. “In both papers,” says Dr. Nuckols, “we wanted to start a conversation. What would outcomes and quality measures for observation care look like?” She further noted that while quality measures for specific conditions include observation care, assessing observation quality would be very complicated. Part of the problem in developing quality or outcomes measures for observation is the lack of any standardization in how that care is delivered.